Knowing what’s in your grain contract is just as important as knowing what’s not in your grain contract. 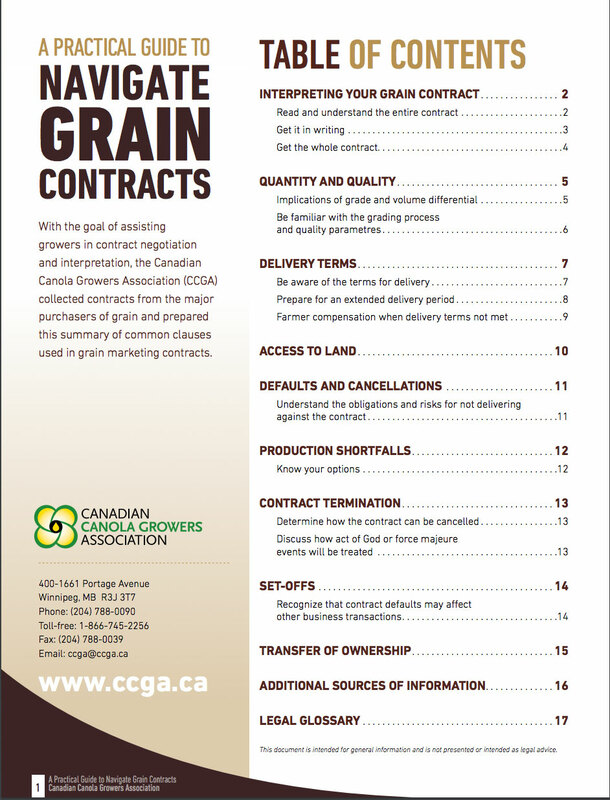 With the goal of assisting growers in contract negotiation and interpretation, CCGA collected contracts from the major purchasers of grain and prepared this summary of common clauses used in grain marketing contracts. 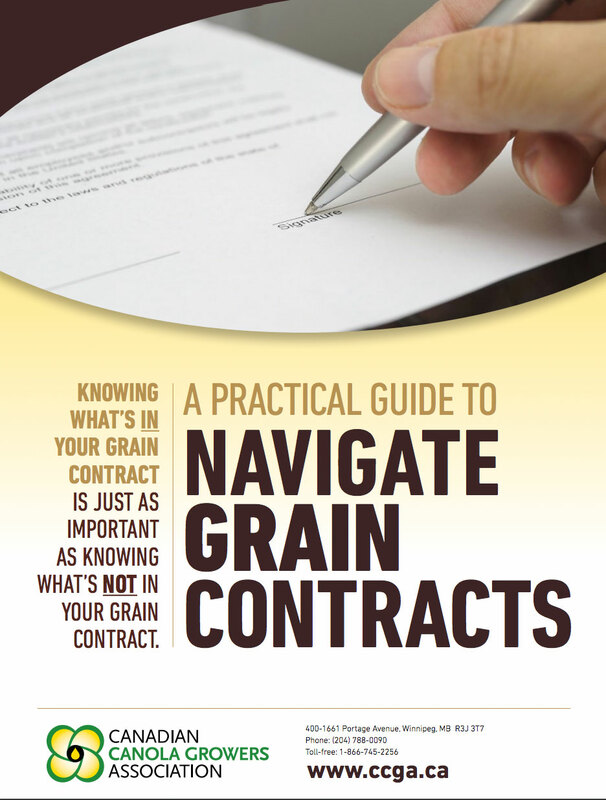 Click here or on the images below to dig into this 19 page guide to grain contracts. Click the image to read the whole document.